The best restaurants, bars, museums, and festivals of New Orleans are in the oldest neighborhood, the French Quarter, just a half-mile from our downtown hotel. 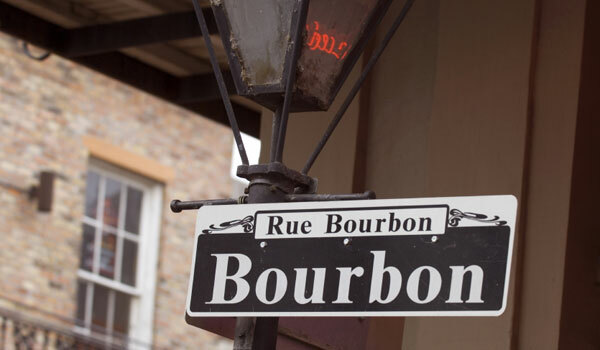 From the bohemian elegance of Royal Street to the boisterous party vibe of Bourbon Street, you'll savor authentic Louisiana fare and an electric nightlife unlike any other. Visit during the world-famous Mardi Gras. Take an exciting riverboat cruise or visit an iconic landmark.. Enjoy historic dining at Galatoire's. Savor local Cajun and Creole dishes at Red Fish Grill and walk over to GW Fins for American Seafood. Swing by Lafitte's Blacksmith Shop for booze in a rustic bar built in the 1700's. Can I park in the French Quarter? There are several covered and open parking lots in the French Quarter. However, parking is pricey and very limited. Public lots are usually very expensive and metered parking can result in large fines by going over the time limit. For this reason, it's best to leave your car parked at our convenient hotel and make the short walk to your French Quarter destination. Can I drink on the streets of French Quarter? Yes, alcohol is allowed outside restaurants and bars as long as it's stored in a nonbreakable container. Most venues will provide "go-cups" you can use to hold your drink so that you can feel free to continue the party elsewhere. You'll want to make sure you drink responsibly because public drunkness is a crime in New Orleans, so always use moderation.